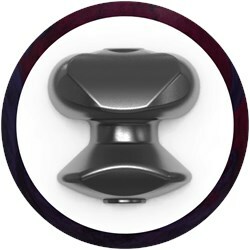 This asymmetric pearl turns heads and turns sideways on the back of the lane! Similar Balls: Same Hook Potential, Lane Conditions & Coverstock as the Motiv Villain Scorn. What an addition to the Villain product line. If the OG villain wasn't enough along comes his brother - LONG AND STRONG and of so angular.. Quite a compliment to the OG - and great for transition later in the block.. This piece is pretty incredible.. 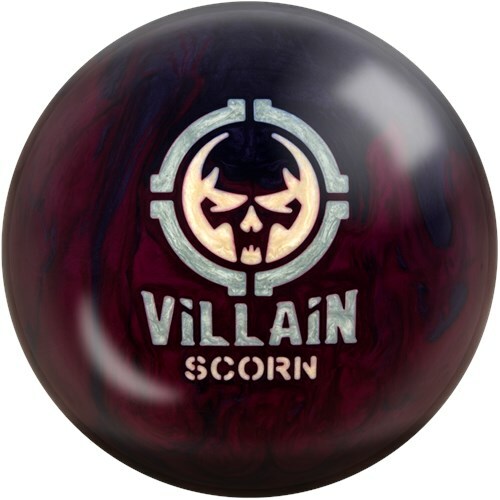 The Motiv Villain Scorn will be a more aggressive ball than the Primal Rage LE. How does this ball compare to the Storm Hy Road? Will this ball be more aggressive on the backend than the Storm Hy Road? This ball will be more aggressive on the backend than the Storm Hy Road. How does this ball compare to the Trident Quest? I have been disappointed with the reaction on the Trident Quest. 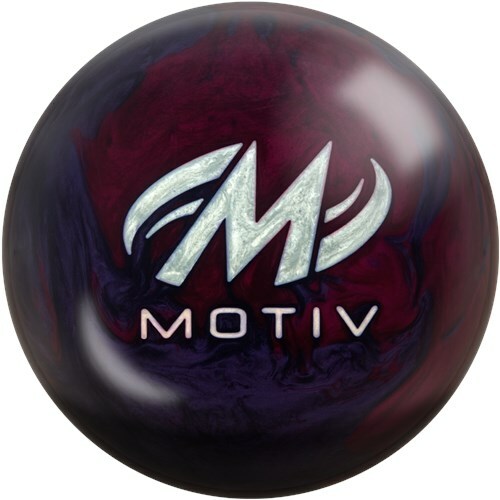 The Motiv Trident Quest will have the Same Hook Potential, Lane Conditions & Coverstock as the Motiv Villain Scorn. This ball will get more length than the Golden Jackal so it makes the backend hook more angular. Due to the time it takes to produce the Motiv Villain Scorn ball it will ship in immediately. We cannot ship this ball outside the United States.